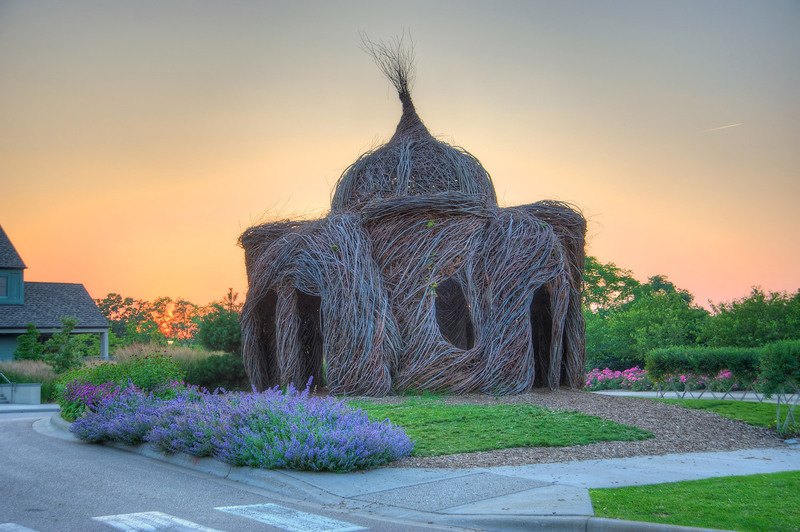 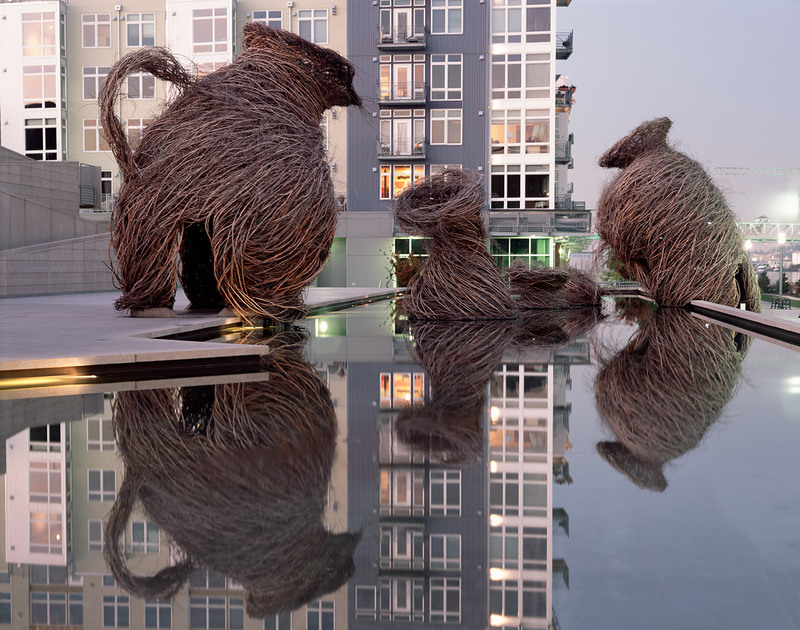 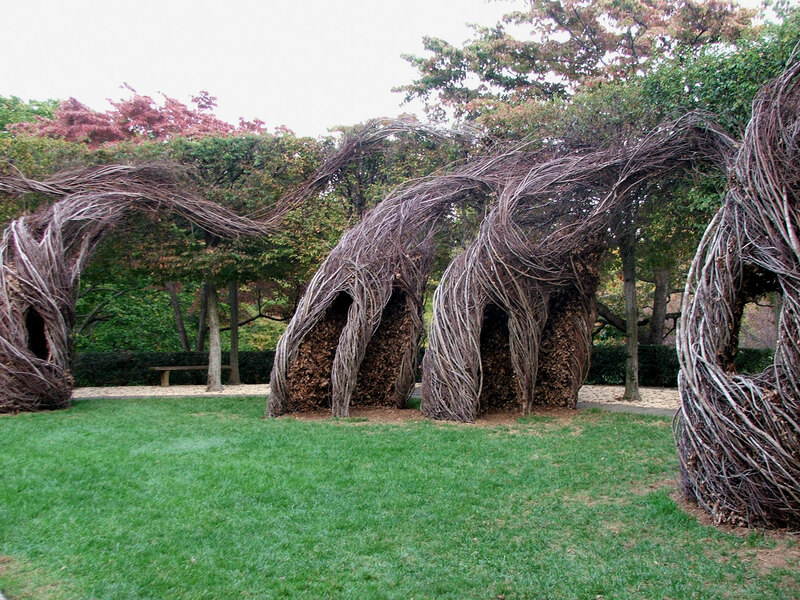 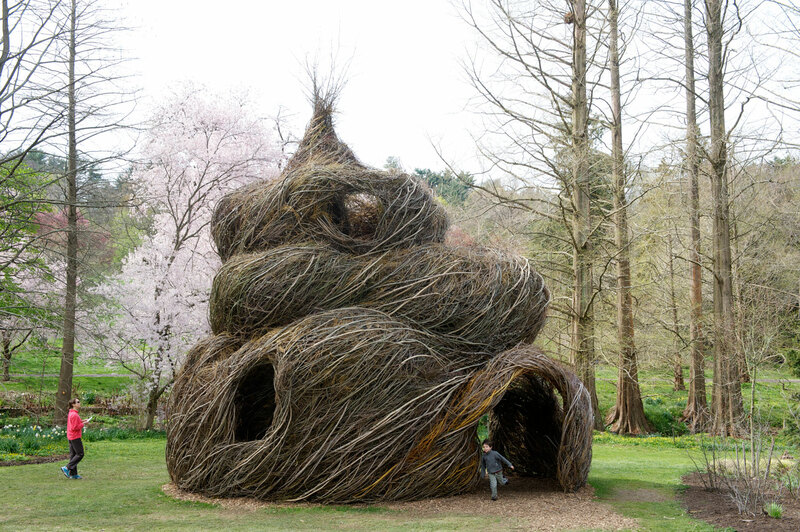 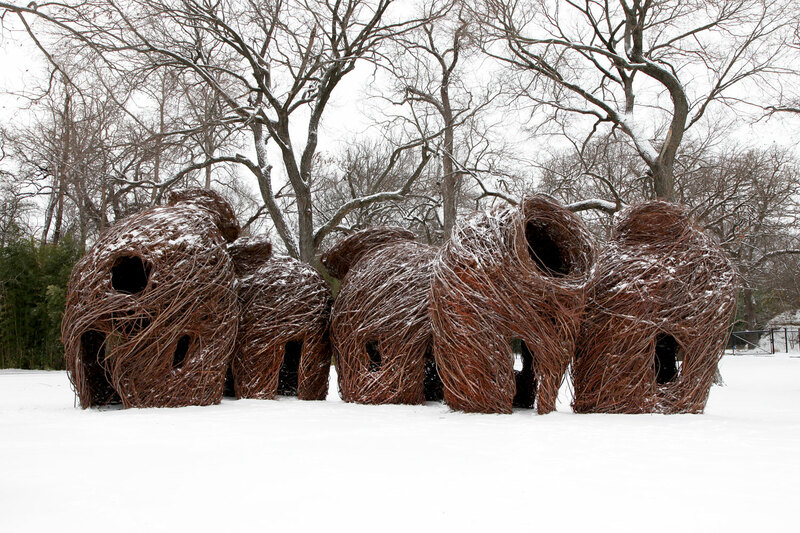 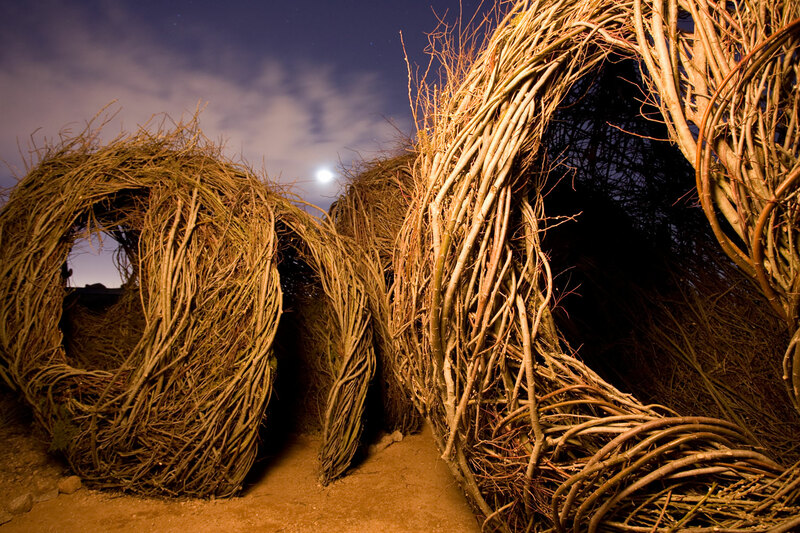 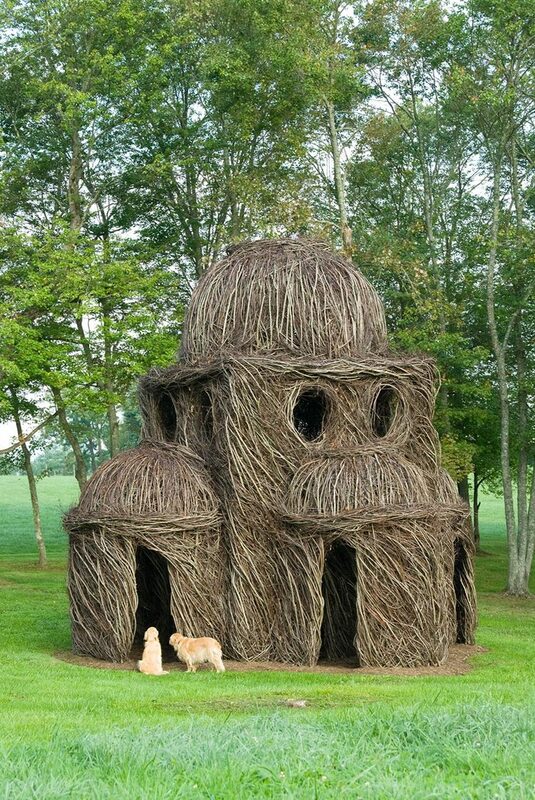 Combining his carpentry skills with his love of nature, Patrick Dougherty began to learn about primitive techniques of building and to experiment with tree saplings as construction material. 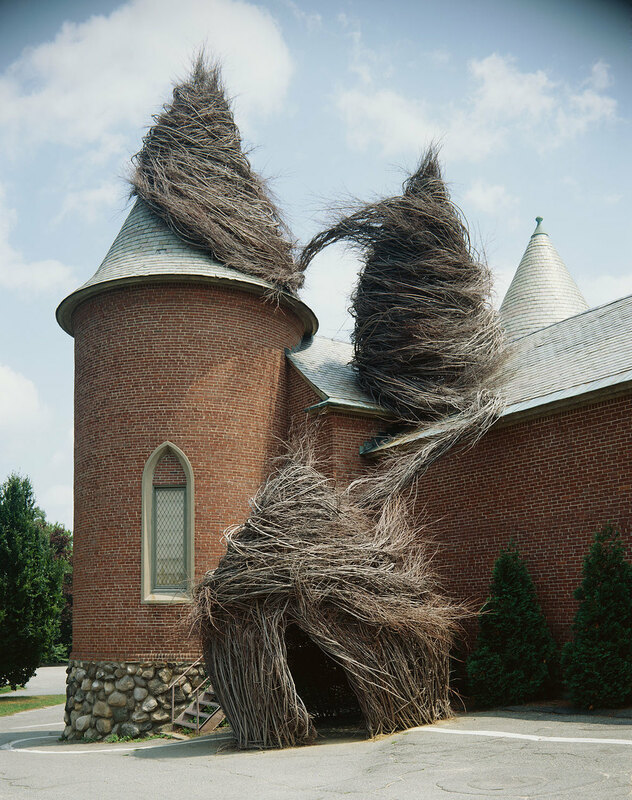 Beginning about 1980 with small works, fashioned in his backyard, he quickly moved from single pieces on conventional pedestals to monumental site-specific installations that require sticks by the truckload. 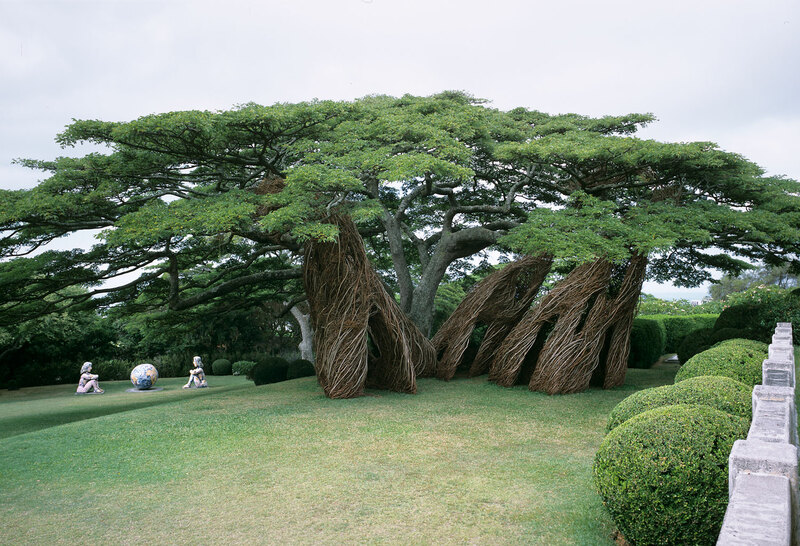 To date he has built over two hundred such massive sculptures all over the world. 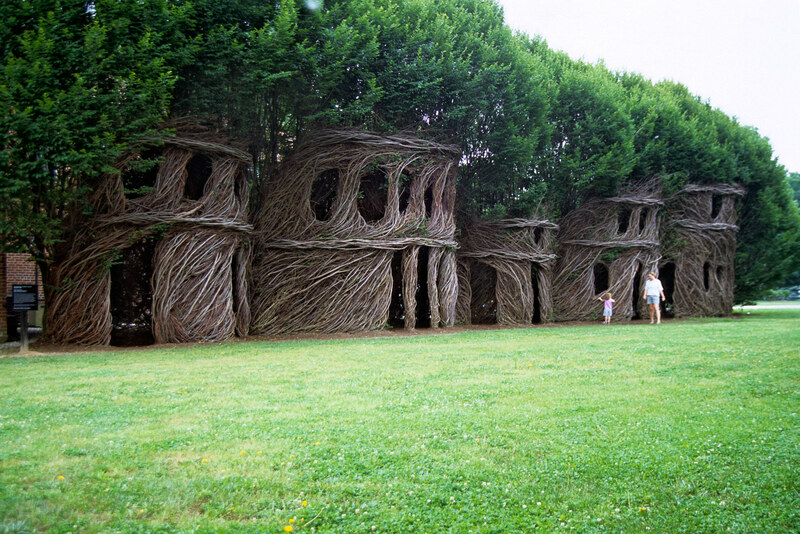 His home base is his handmade house of log in Chapel Hill, NC where he lives with his wife Linda and son Sam.